Tanzania has reached another milestone in its attempt to attract investment after the Export Processing Zone Authority (EPZA) successfully surpassed its targets for the past 12 months. 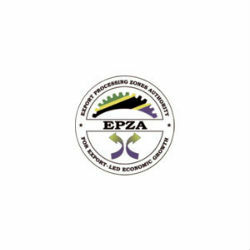 The EPZA’s success was announced by the authority’s Director General, Dr. Adelhelm Meru during a farewell to 2013 and welcome to 2014 party held in Dar es Salaam recently. “With all the challenges that faced us especially unreliable electricity, we are happy to surpass the targets we had put for ourselves during the last year,” Dr. Meru told. Commenting on the targets used to measure annual performance, Dr. Meru stated that the authority had planned to get 25 big investors; but by December 2013 they exceeded the target and attracted 31 investors. The authority also had a target to obtain USD 300 million investment capital in 2013, but again bettered the target bringing the country’s capital to a total of USD 498 million by December last year. Dr. Meru said that his authority had planned to create 5,200 new jobs last year and end up doubling the target by creating 10,200 new jobs through new investments that took place in the authority’s areas. “We have been successful and this gives us hope that a job is done well,” he said. Explaining further, he said EPZA had earlier aimed to export products totalling USD 100 million last year, but surpassed this target as well by exporting USD 105 million worth of products. He said all the successes had been a result of hard work and thanked all the staff for playing their role well. “I really thank all EPZA staffs,” he said. He also thanked the government for its support to the authority, especially in helping it get investors, allocating areas for investment and providing the necessary infrastructure required by investors. He noted that EPZA is now going to increase efforts in 2014, ensure that all targets are met and make Tanzania a better place for investors and therefore more likely to achieve sustainable development.